From a dark landscape to an experimental state, there are unknown territories to be explored. This volume 1 show us the first places of these territories. On the first stop of this trip, the Materia Nigra artist Alex Llegato shows a heavy dark repaint of Ken Young track "El Duomo". 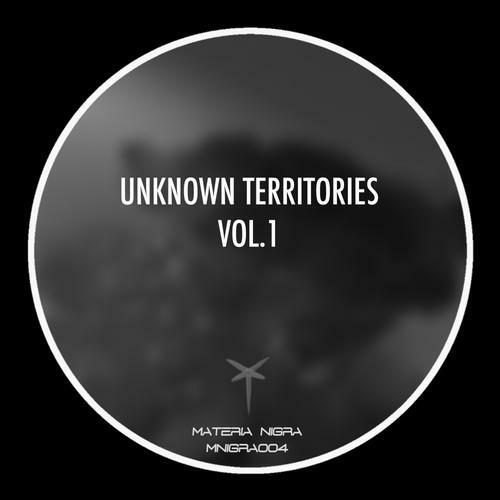 The next 2 stops belong to newcomers on Materia Nigra, Bruno FK and Dave Copp. Bruno FK track "Redecode" transforms this trip to something more deep but equally dark. Dave Copp with "Raving" adds some bounce and futurism elements. The other Materia Nigra artist on this compilation Brolax Bones give us a experimental stop on his territory.